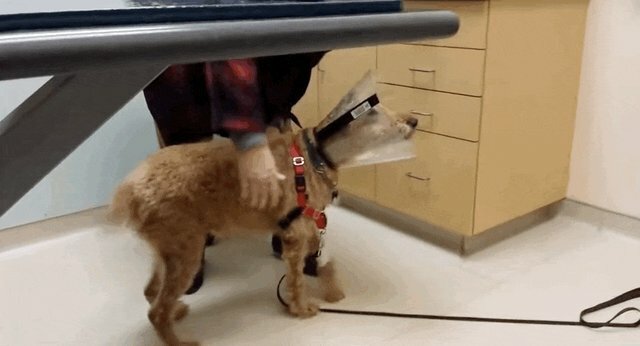 Duffy the dog lost his eyesight after struggling with diabetes, which meant he could no longer see his beloved humans. 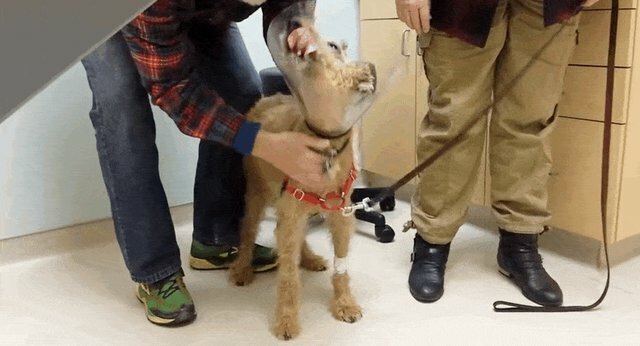 But amazingly, last June the rescue Irish Terrier had surgery to restore his sight ... and cameras caught the incredible moment that Duffy saw his family again for the first time after surgery. Duffy's tail is wagging a mile a minute, and he's looking around at his human family like he just can't believe how lucky he is. 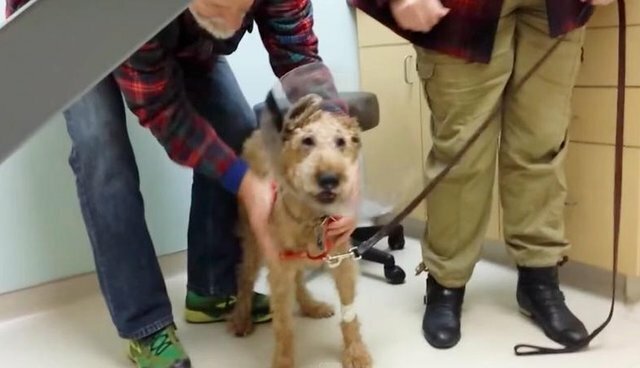 "He did so beautifully today," one of the veterinarians says in the video below, over the commotion of Duffy's happy squeals. "He's such a good boy." The video was uploaded last June, and since then Duffy has had plenty of time to enjoy his regained sight with his loving family. Cheers to you, Duffy!